Greetings from our team here at DCH Millburn Audi, and thank you for taking the time to explore our website. 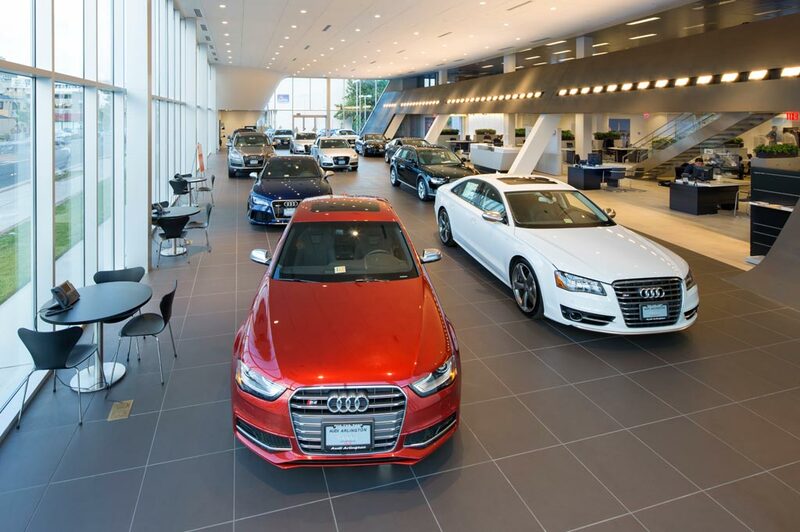 At DCH Millburn Audi, we pride ourselves on running our dealership much like Audi designs its vehicles; innovatively, efficiently, and most importantly, unwaveringly committed to quality. And with so many customers all over Maplewood, Short Hills, Summit, Livingstone, and Westfield shopping and doing business with us year after year, we're confident in our ability to deliver the best in Audi sales and service. We'd love to count you among our customers, and we think that once you've experienced the quality of customer service experiences we have to offer here, you simply won't want to shop with anywhere else. Aside At DCH Millburn Audi, we understand that for many drivers saving money is of the utmost importance. Fortunately, with our vast and varied selection of pre-owned vehicles for sale, it's only too easy to find an audi used car, nj crossover, or SUV that fits your budget when you shop with us. Our selection of used audi cars for sale runs the gamut from popular pre-owned Audi models to used cars from other top brands, so you'll always have plenty of attractive and competitively priced options to choose from. What's more, if you're looking for a little extra assurance of quality with your pre-owned purchase, our Certified Pre-Owned Audi models may be right up your alley. Featuring outstanding Audi Certified Pre-Owned Limited Warranty Coverage, these exceptional pre-owned used Audi new jersey cars will provide you with premium automotive experiences and peace of mind for years to come. Audi cars are meticulously crafted feats of engineering and as such, it take a skilled hand and an eye for detail to help keep them running at their full potential for years to come. Fortunately, our Audi service technicians have just such skilled hands and eyes for detail. So, whether you're looking for some routine Audi maintenance or complex Audi car repair, you can rest easy in the knowledge that you can always get quick, comprehensive service. Let DCH Millburn Audi help you find a financing plan that best fits your budget. We realize that our vast selection of new and used Audi vehicles for sale means nothing if we can't help our customers get behind the wheel at a great price. Fortunately, when it comes to Audi finance, we consider ourselves to be experts here at DCH Millburn Audi. In fact, whether you're looking for a great rate to lease audi near me new jersey buy audi near me, or a competitive offer on a car loan to finance a pre-owned Audi, our team here in the DCH Millburn finance center will gladly work with you to help you secure the best possible Audi financing solution for your budget. In fact, you can even get started online by filling out our online Audi finance application, getting you one step closer to the car of your dreams. Visit our Maplewood, NJ Audi dealership today! Now, it's one thing to hear about all that we have to offer here at DCH Millburn Audi, but we'd much rather show you what we can do for you. So, feel free to stop by our Audi dealership in Maplewood, NJ and let us show you exactly what we can do for you. Our dealership is located just a short drive away from the communities of Summit, Short Hills, Livingston, and Westfield. Located at 2211 Millburn Avenue in Maplewood, we're easy to access from Interstate 78 and the Garden State Parkway, just 3 miles from the South Mountain Reservation, and 5 miles from the Turtle Back Zoo. Our team is always eager to greet prospective customers and show them around our showroom. We hope to see you soon, and once again from all of our team, thank you for shopping with us to find your new Audi A3 A4 A5 A6 A7 Q3 Q5 Q7!